Celebrity photographer Karthik Srinivasan has earned the distinction of being the go-to person for celebrity photoshoots over the years. 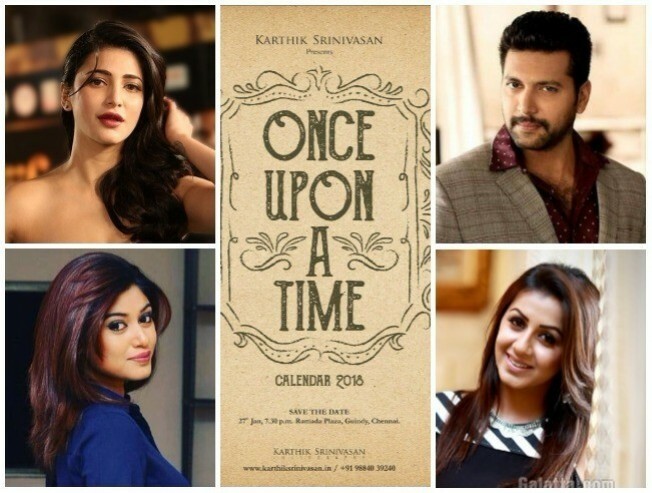 He has exhibited his talents in the art to widespread acclaim and is all set to repeat it again with the launch of the 'Once Upon A Time' Celebrity Calendar 2018, Chennai. This calendar will feature leading ladies from the Indian Film Industry, captured in a moment of timeless glory; connecting beauty and appeal across the globe in Karthik Srinivasan’s own style of photography. Reputed A-listers namely Jeeva, Oviya, Nikki Galrani, Arun Vijay, Aishwarya Rajesh, Regina Cassandra, Taapsee, Bindhu Madhavi, Sneha and Prasanna, music director Imman will grace the event. Stay tuned to Galatta for more updates on the event.